On September 26th and 27th 2017 the imk industrial competence took place at the community4you Arena Chemnitz. The latest developments in software-supported industrial planning were presented. 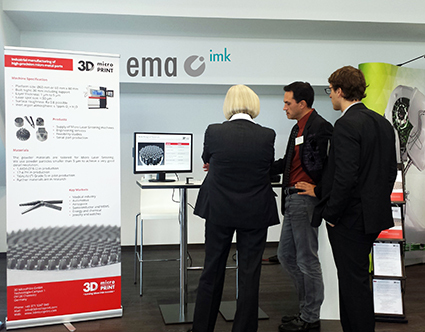 3D MicroPrint GmbH was represented with its micro metal parts. The participants got a first insight and impression for the production of Micro Laser Sintering components. The visitors were astonished by the very small, but nevertheless very precise parts, made of stainless steel.